Computer designed to achieve ultimate strength at minimum weight JT combines leading-edge technology with top materials to produce the ultimate quality sprocket range with unbeatable value Every sprocket meets or exceeds the highest possible quality standards Sprockets are heat-treated and beadblasted to reduce material surface tension Made with top-quality Japanese C45 high carbon steel and SCM415 chromoly steel alloy Stock Gearing: 15-45 Stock Chain: 520-108 Please note: When installing sprockets that differ from OEM sizes, check for proper clearances before operating. Using the latest generation of computer design and control metal cutting equipment for maximum durability. Made from the finest C45 high carbon steel. 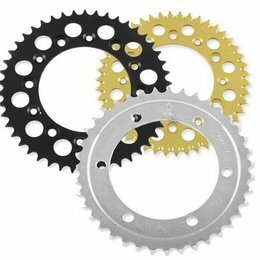 All sprockets are heat treated and hand finished to meet or exceed the highest possible quality standards. Number of teeth: 43. NOTE: Sprockets are for OEM chain type for all models listed, unless noted. Please Note: The image displayed is representative of the item, but may show alternative styles. 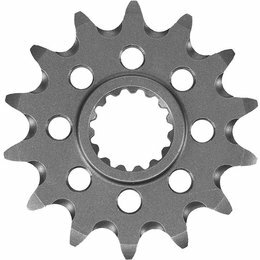 You will only receive a single sprocket in the style appropriate for your specific application. Do not order based on image alone. Using the latest generation of computer design and control metal cutting equipment for maximum durability. 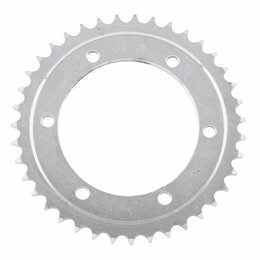 Front sprockets are made from chromoly SCM420 steel alloy. 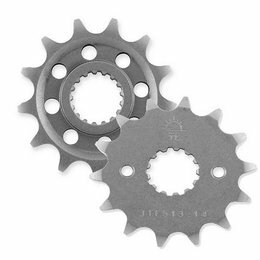 All sprockets are heat treated and hand finished to meet or exceed the highest possible quality standards. Number of teeth: 15. NOTE: Sprockets are for OEM chain type for all models listed, unless noted. Please Note: The image displayed is representative of the item, but may show alternative styles. 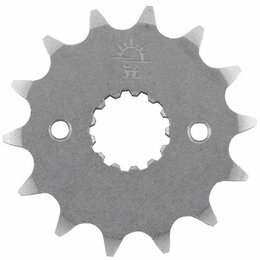 You will only receive a single sprocket in the style appropriate for your specific application. Do not order based on image alone.